Your clients have already engaged in some form of asset protection planning, and usually it isn’t enough. Attorneys may ethically and legally help clients protect their assets from future creditors, predators, and lawsuits. Asset protection planning is a legitimate form of wealth planning. Attorneys who engage in asset protection planning help their clients preserve and protect their property in advance of a claim or the threat of a claim. The goals of asset protection planning are to provide an incentive for settling a claim, improve the client’s bargaining position, offer options when a claim is asserted, and, ultimately, deter litigation. Planning Tip: Asset protection planning will not be effective to shield property from an existing claim. It must be done long before there is even the hint of a claim. 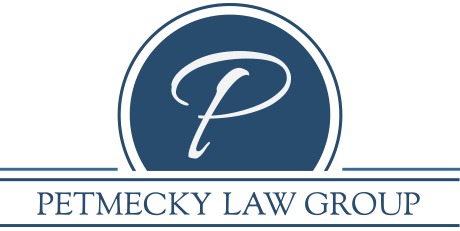 Attempting to help a client protect property after a lawsuit has already been threatened or filed could potentially subject the client’s attorney to professional misconduct, malpractice, civil liability, or even criminal punishment. All of your clients have engaged in traditional asset protection planning at some point during their lives. The most common type of traditional asset protection planning is the purchase of liability insurance – automobile, homeowners, umbrella, officers and directors, malpractice, and the like. Unfortunately, liability insurance may actually encourage a lawsuit since it is perceived as “easy money.” Aside from this, liability insurance often fails due to inadequate coverage, extensive policy exclusions, or the carrier becoming insolvent. Another common type of traditional asset protection planning is the use of a business entity, such as a corporation, to segregate business assets and liabilities from personal assets and liabilities. While a corporation may shelter personal assets from a lawsuit filed against the corporation, the opposite is not true – if the shareholder of a corporation is personally sued, his or her shares of stock in the corporation are not protected from a judgment entered against them. Of course, it is possible that if certain corporate formalities are not observed, then the “corporate veil” may be pierced and the shareholder’s personal assets will become vulnerable to a judgment entered against the corporation. When possible, clients should use liability insurance as the first line of defense against a claim. While a corporation that fails to observe corporate formalities may not provide adequate protection for the personal assets of its shareholders, other types of business entities, such as limited partnerships and limited liability companies, may be used to shield personal assets from liabilities. Married couples who are residents of a state that recognizes tenancy by the entirety, or own property located in a state that recognizes it, should make sure their jointly titled property is actually owned as tenants by the entirety and not as joint tenants. Residents need to be aware of the limitations of their state’s creditor exemptions and expand their protection beyond state exemptions where applicable. The client is about to be, or has already been, sued. The client is about to, or has already, filed for bankruptcy. The client is delinquent in reporting and/or paying taxes. The client is being audited by a taxing authority. The client is directly or indirectly liable for any loans. The client is solvent and will remain solvent after any property transfers. Planning Tip: Asset protection planning is a complex area of the law. Advisors must be knowledgeable about debtor/creditor laws, fraudulent transfers, tax planning, civil litigation, property laws, bankruptcy, and other related areas. Aside from this, advisors must do their due diligence in vetting potential clients and be well versed in both the design and the defense of asset protection plans. Clients may drive carefully and avoid getting into barroom brawls, but they can never completely avoid all activities that create liability. Asset protection planning is not only an ethical and acceptable form of wealth planning, but attorneys and other advisors who do not advocate this type of planning are doing their clients a disservice. Our attorneys are experienced at creating asset protection plans that are custom-tailored to each client’s family situation and financial status. Please call us if you have any questions about this type of planning and to arrange for asset protection consultations for your clients.